If there's anything this current generation of gaming has taught me, it's to love shooters. There's one game in the genre that I've grown to enjoy above all others, Halo: Reach. Where Halo 3 and ODST left me wanting, Reach has given me nearly everything I've been wanting out of this franchise. Sadly, this is also developer Bungie's last entry in the Halo series. But it was one hell of a way to go out. Reach is a prequel to the trilogy and ODST. It tells the story of first contact between the Covenant and the doomed planet, Reach. You play as Noble Six, a new recruit to Noble Team which consists of a single SPARTAN-II and five SPARTAN-III commandos. It spans the course of a month as Noble Team fights valiantly against overwhelming odds across all corners of Reach and beyond. As a prequel, Reach firmly lays the cornerstone for this universe. This is the first entry in the Halo series where I was actively interested in the characters and what was happening. Not playing as an unstoppable killing machine in a tragic story line was a humbling experience. Even though I knew what was going to happen to these characters, I found myself getting attached and was saddened by their eventual fates. Each character was unique and played off their comrades with a realism seldom found in games. Even the player character, Six, is made to feel like one of the family, as if he/she had been there all along. From start to finish, the story is captivating and left me wanting more. I found myself pouring over the smallest details, trying to learn more about these characters and their world. Very seldom does this happen. So, congratulations Bungie. You've converted me. The visuals and audio of Reach stand head and shoulders above its predecessors. From the title screens to the most intense skirmishes, every moment is perfectly told through the visuals and sound. The sweeping sound track compliments the ominous overtone of the game and is deeply moving. 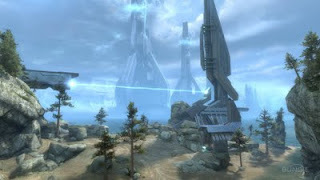 Graphically, Reach is the best looking game of all the Halo entries. Supposedly, there are more polygons in a Reach assault rifle than there was in an entire Marine from Halo 3. This enhanced attention to detail makes Reach a treat to eyes and is one of the major reasons why I prefer it to other shooters on the market. Eat your heart out, generic war shooters. Combat in Reach has also evolved. Jumping into a skirmish is now a sure fire way to die. Other players in multiplayer and the Elites in story mode have shields in addition to health. Deplete the shield to make the killing shots, but if you place your shots poorly or take too long to drain the shield, you'll be left reloading which gives ample time for the shields to regenerate. Reach is a game that forces you to play well if you want to succeed. Spray and pray is not an option in any mode and if you want to climb to the top of the boards, you'll have to be intimately familiar with the art of the head shot. Though it can be incredibly frustrating at times, especially starting out, reliably dropping enemy after enemy with precision shots is a deeply gratifying feeling. Weapons have been finely tuned and there's a large enough variety to compliment any play style. Dual wielding has gone the way of the dinosaur and weapons that once fell into that category pack a bigger punch. The magnum carries over traits from ODST and is a solid back up weapon once again. In addition to the weapon overhaul, Reach includes new Armor Abilities. These include jet packs, armor lock, active camo, sprint, drop shields, and evasion. Multiplayer matches begin with the option to select one of many load outs. Load outs consist of preset weapon and Armor Ability combinations. This offers up unique play styles and keeps everyone from being a generic SPARTAN/Elite. Something else that helps one stand out from the crowd is the incredible selection of armor to customize your character with. There are thousands of possibilities to be had. Armor is unlocked by achieving certain ranks in multiplayer and earning credits for doing quite literally anything in the game. Fortunately, Reach is a blast when playing in any mode, so earning those credits is child's play. 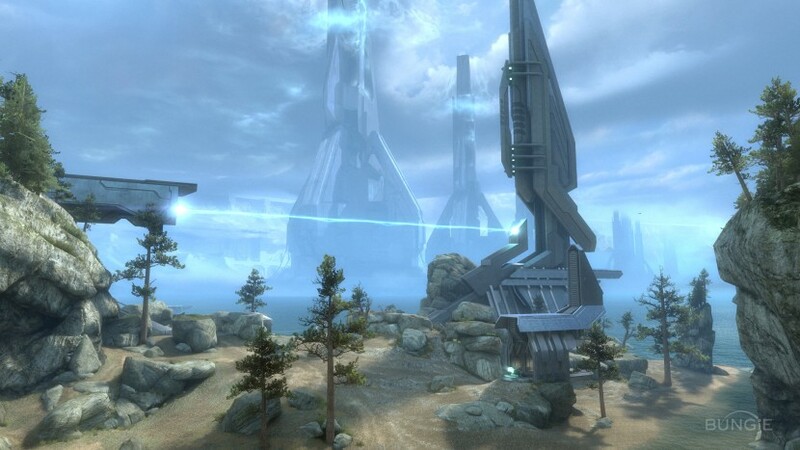 While I've enjoyed past Halo titles, I'd never been enamored with the universe until Reach. This is a glorious deafening final shot from developer, Bungie. 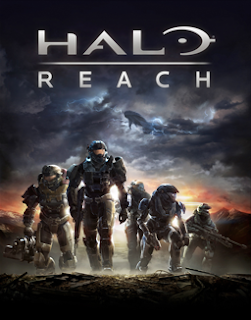 If you've ever wanted an excuse to venture into the Halo series, I can't think of a better place to start your journey than Reach.